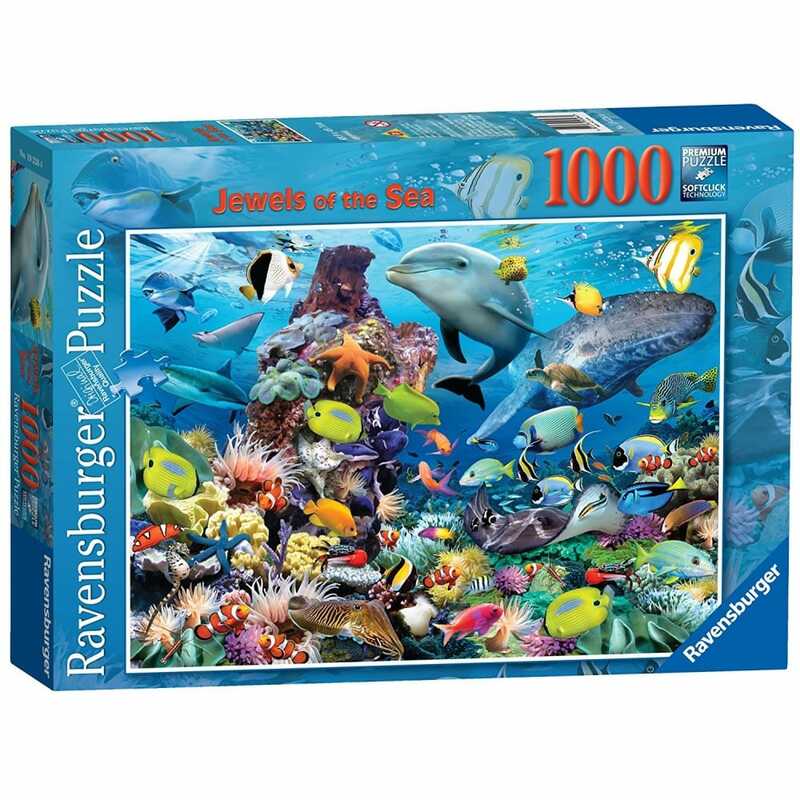 The brightly coloured tropical fish and coral in this wonderful puzzle are almost like precious gems, set in a rich framework of deep blue sea. This reef is teeming with life, from the little tropical fish darting around in the foreground to larger ocean dwellers like the dolphin, ray, shark and even a whale. A lovely puzzle to enjoy either alone or with friends and family. The puzzle has been illustrated by British artist Howard Robinson, who is known for his highly detailed and realistic illustration style. Howard is also renowned across the world for his conservation work with rare birds and poison arrow frogs. As a result of his work in this specialist area he regularly presents his findings at wildlife conventions in places as far afield as Australia and Africa, and always uses these opportunities to gather reference material and ideas for new puzzle designs.